Customer feedback is always welcome and your support of our website is greatly appreciated. Please contact us anytime you have questions about our website. We'd love to hear what you think about the quality of the site and the leadership tools and resources provided. 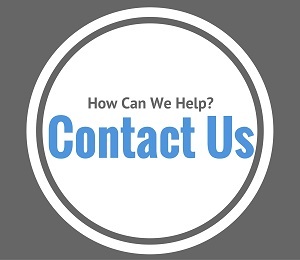 If you have a question about a specific tool, product or program, just drop us a note and we will do our best to assist you in finding the answers you seek. Please use the form below to submit your comments, feedback, testimonials or questions. Most importantly, if you have a suggestion on how we can make this site more valuable for you and other aspiring leaders please share your thoughts with us - we'd love it hear what is on your mind. I consent to you using my information to acknowledge/respond to my feedback/question. Our job at Leadership-Tools.com is to provide you with high-quality, free or low-cost solutions for your leadership development needs. We invite you to learn more about what we offer and tell us how we are doing. Let's get you started right now by introducing you to a few of our most important pages. Subscribe Today! Don't miss an issue of our free monthly newsletter, Leadership Tools Monthly News. Follow our Blog. Receive exciting news and updates in real time. Stay up on the latest and greatest leadership news and resources by adding our blog feed to your RSS reader. Add our feed to your homepage and you'll see all of our updates the second they are published. 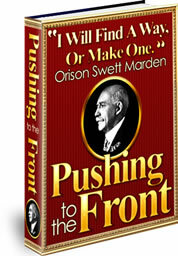 Download Free E-Book - this is an amazing self-help classic, written by Orison Swett Marden, considered by many to be the father of the American success movement. Over 800 pages of outstanding leadership and personal development lessons. Please let us know what you think about this outstanding book. Read Our Articles - we are constantly looking for the best leadership articles that we can find. If you happen to be a writer and have high-quality material to offer to our readers, please let us know. We have hundreds of original leadership articles, written for the purpose of making your life as a leader and manager easier and more effective. When you find an article that is especially helpful to you, or if you feel we've missed a key point on the topic, please take time to provide us with your feedback. Looking for something specific? You can quickly search our site by entering a topic in the search bar at the top of your screen or on the menu of your mobile device.